When I die, I want to be composted. I’d like to come back as a tomato. When I tell my family this, they just sniff and look somewhere past my shoulder, as if I’ve just farted. If they picture it all, they envision a long process, maggots, turning my body with a shovel, watching me swell and liquify and, of course, trying not to breathe because of the smell. None are Buddhists. None have contemplated a corpse. They don’t want to begin with me. Here’s the solution. I first learned of it when I read Mary Roach’s wonderful book, Stiff: The Curious Lives of Human Cadavers. She went to Sweden where she interviewed Susanne Wiigh-Masak, a pioneer in the field of ecologically sound burial. After years of research and trying, she has formed a company that will essentially freeze-dry a corpse, turn it into fine powder, remove the harmful metals, and allow the family to mix it in the ground where a tree can be planted above it. To see how it’s done, click here. I’ve been following this for years and the process is not available in the US. So, I’m working on a low-carbon-footprint way to have my body sent to Sweden and turned into a tree. How, you might ask, did I come up with this topic for today’s post? 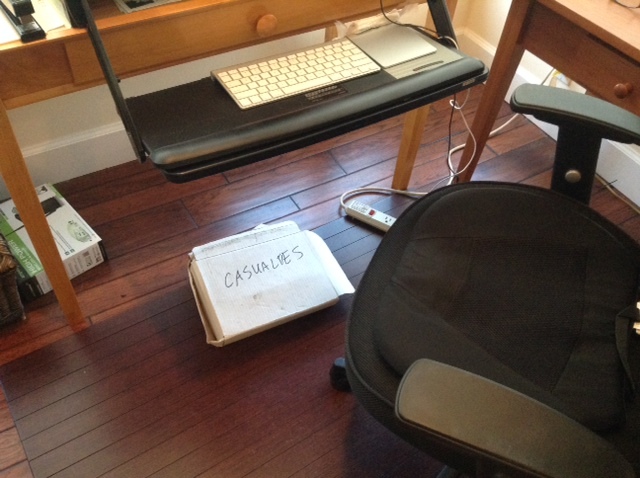 4) Foot rest (turns out a rejected manuscript, placed beneath my writing table, is just the right height for achieving an ergonomically correct position). You read that last one correctly. In my early days as a composter, I invested in set of stacked boxes and a bag of worms so that our kitchen leavings would have a nice place to go and I would have some nice rich worm-generated compost for my gardening. Such as my gardening is. One of the ingredients for the worm bedding is paper. I’m embarrassed to say that I still have a lot of paper kicking around. Manuscripts, all or part, lie around like bodies in a morgue. Cold, in pieces sometimes, carved up with red lines or black. Stained with whatever I was eating or drinking as I worked. When I was into vermicomposting, I used to shred my used-up, marked-up pages and put them in the worm bin. And there they’d be, my words clinging to the scraps of paper that each day disintegrated a little more, turned wet and slimy beneath the bodies of worms or brown every time I added coffee grounds, or banana peels, apple cores, food scraps. It’s humbling to see the products of hours of work consumed by worms and microbes. A character’s eyes, or voice sinking into the earth. Humbling, but also just right. The tree that became paper, becomes worm food, that feeds a tomato, or a tree again. That’s all I’m asking for. No ashes. No chemicals. No maggots. No trauma. Just freeze-dried Betsy and a tree. Or a tomato. I’m not fussy. If you have an innovative use for your rough drafts, or your body, feel free to share! 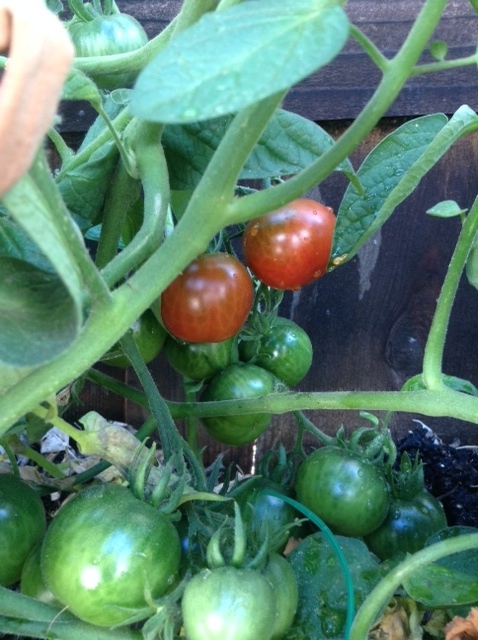 If you are wondering about the tomato, these are the fruits of our more recent composting labors. Volunteers. Happy accidents. We throw the chunks of compost that are too big or hard for my pots along the sandy stretch of our alley fence and sometimes, beautiful things happen. All by themselves. Not a bad outcome for any of us, right? I absolutely loved this! I could picture my own family giving me the same look…and then laughing! wonderful concept, and interesting to know that some of your thoughts/characters have given birth to all things natural. Love it. I usually figure I’ll be cremated, but I think I like your idea better. 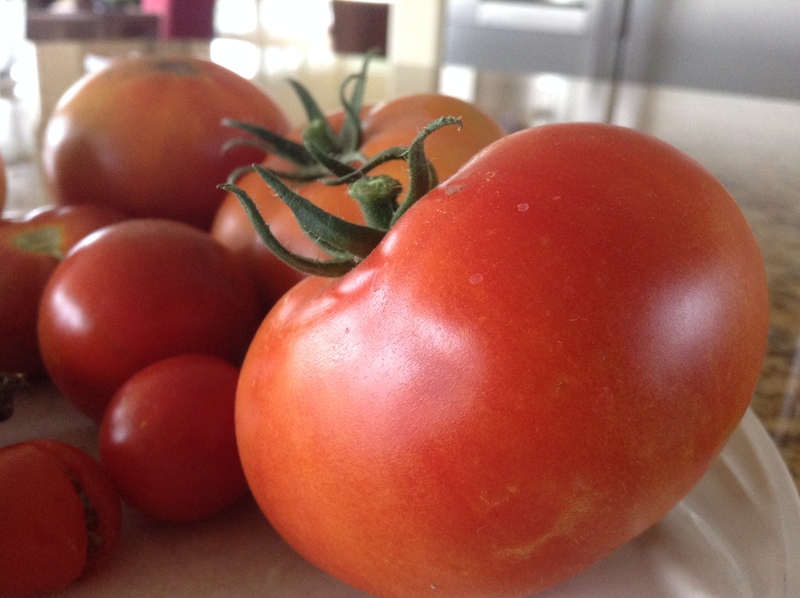 Definitely tomatoes. That’s the main reason I have a garden, so it would be poetic, in a way. I’m jealous that you have ripe ones already! It’s going to be at least another three weeks for me. I always thought cremation was the way to go until I found out that it adds to the pollution of the air. Your garden sounds like a nice place to settle when the time comes! Right, Angela – you never know what, or who, went into that tomato!